Introducing the new series of D-SOFT diffusive LED panels. The series consists of three bi-colour models. The basic model D8 has a power of 100W. D8 is the basis for the construction of larger models, eg. D32 – illuminator four times larger than the D8. We offer customized production of such or similar big illuminators up to dimension of 200×100 cm and power to 1600W. This offer is addressed specially for rental companies or big production studios. The series is complemented by a small reporter’s model D4, featuring the power of 50W. 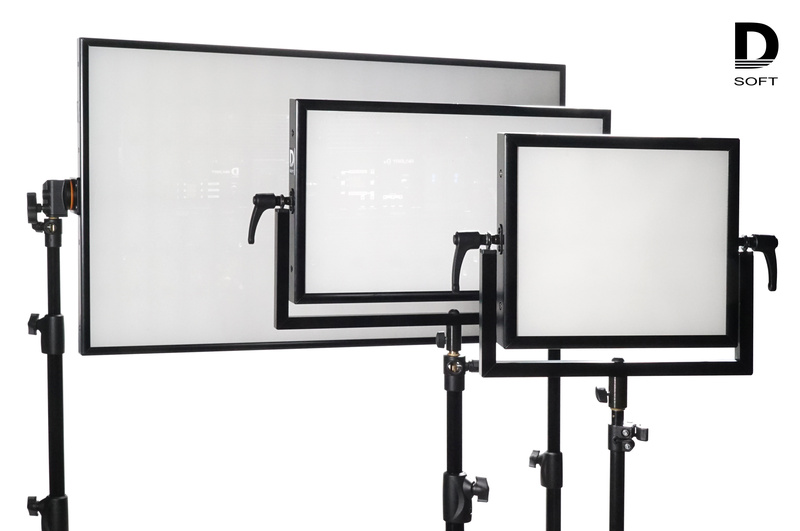 Series D-SOFT expands our wide range of lights, including the lenticular LED panels and on-camera lights.